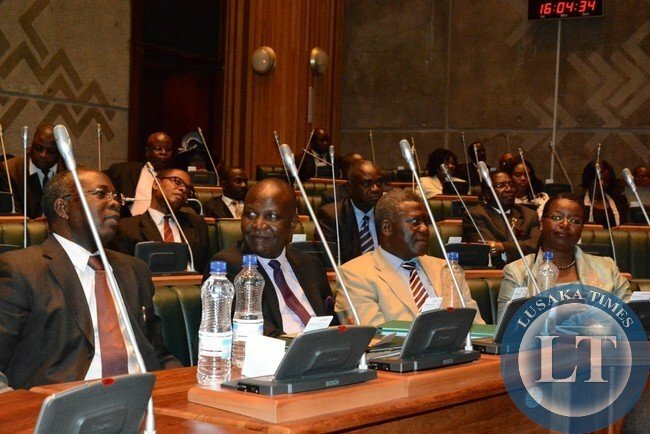 Zambia National Student’s Union (ZANASU) has called on Members of Parliament (MPs) to enact the Student’s Loans bill before parliament is dissolved. In a statement made available to ZANIS in Ndola today ZANASU vice president Prince Ndoyi said his union has seen political will from President Edgar Lungu and called on the opposition MPs to make the matter a big issue before parliament closes. Mr. Ndoyi said politicians must in the interest of the nation demonstrate their dynamic approach for the task of universities in an underdeveloped country like Zambia are fundamentally not different from what they are in developed societies. He noted that financing still remains a big challenge and therefore the bill once enacted meal allowance riots will become a thing of the past. Mr. Ndoyi said the student’s body demanded that the same amount of political will to the last enacted amendment bills received should be channelled towards the student’s Loan bill or they will continue to face unending hardships in student finances. “Recently, the two public universities were embroiled in indefinite closures that were widely believed to have culminated from delayed meal allowances. It is only prudent that the interest of students is put first by closing the chapter of student’s loans facility that will see to it that the issue of student financing is adequately addressed,” Mr. Ndoyi said. He added that students must begin to call for the same as this issue is long overdue and must not be another campaign item but be seen to its logical conclusion before the dissolution of parliament. He also called on students to support this call as the facility will not only benefit students from Copperbelt University (CBU) and University of Zambia (UNZA) but will extend to other higher learning institutions which will widen the financing bases and encourage the private sector to participate as the framework will increase the resource envelop. Too late. As at this moment they can only “demonstrate their dynamic approach’ to escape from the sunken canoe. another riot……………they must enact it before parlel is dissolved….. indeed all else they will close the institutions again…. The gist to this is that if the student is empowered to preside over his or her affairs whilst in University, the buck will be very hard to pass. The Achille’s heel of socialist and communist set ups has always been to think that government can be at the beck and call of its citizens providing they are subservient and obedient. This cannot work in today’s open world. We need to begin to devolve as much responsibility as we can to individuals so that they can begin to police themselves. The same is true with the media. Set the media free and give them a framework instead of a set or rules.